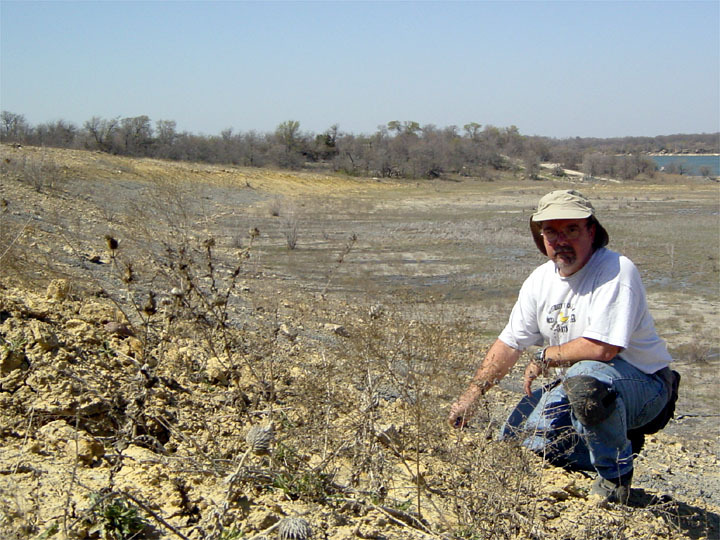 The site is located just north of Jacksboro off of Route 59. Go north from the town square on 59 and watch for the lake. Go past the lake and the access gate to the lake trail, then turn right on Los (sic) Creek Road, a gravel road. Follow Lost Creek road for a mile or so and you'll come upon a locked gate at the end of the dam. The spillway is across the dam. 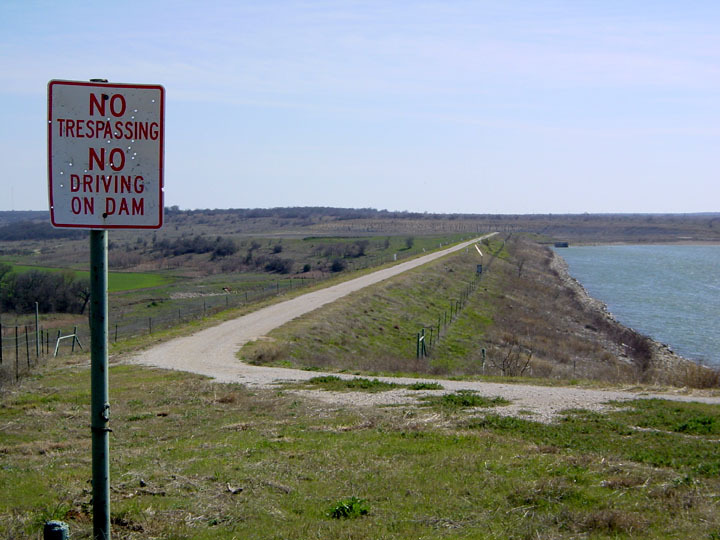 The path across the dam is public in spite of the signage. The eroding hillside in the spillway area is fenced off. No one hassled me though. Bring gloves and knee pads along as most all of the hunting is done on hands and knees. 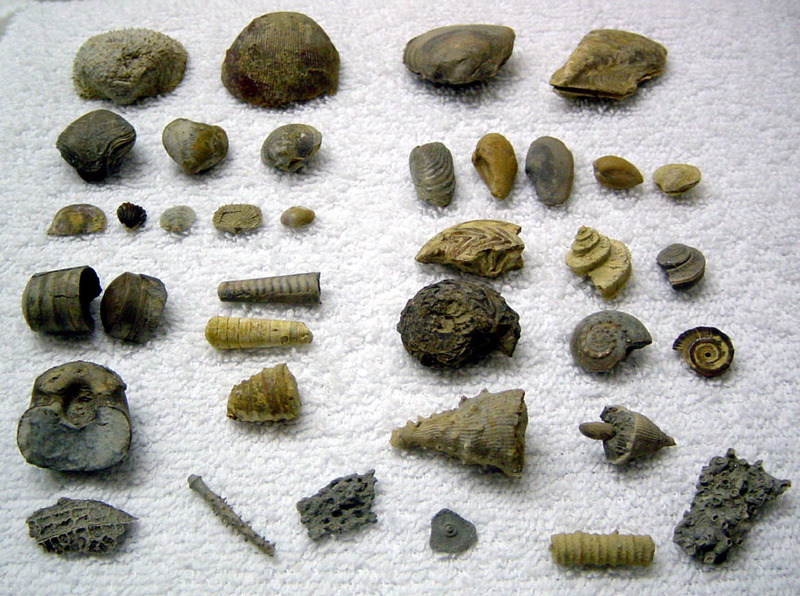 This is typical of the fossils. 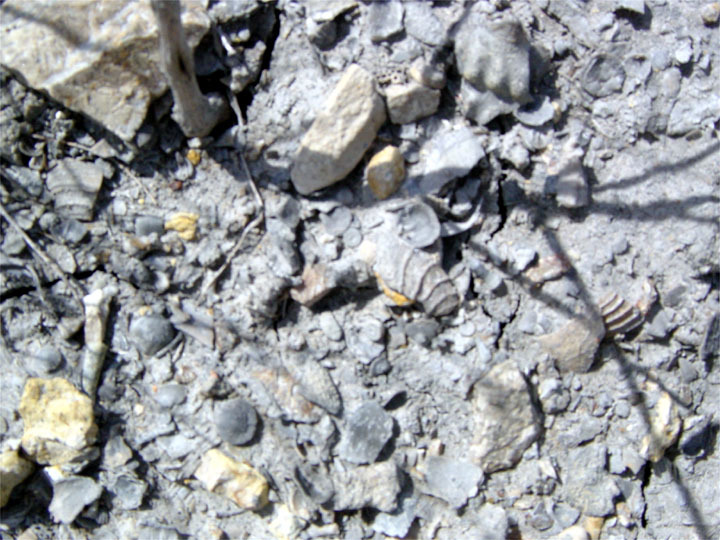 Fossils can also be found in the flat area along the lake. Bring a picnic lunch and have a great day! 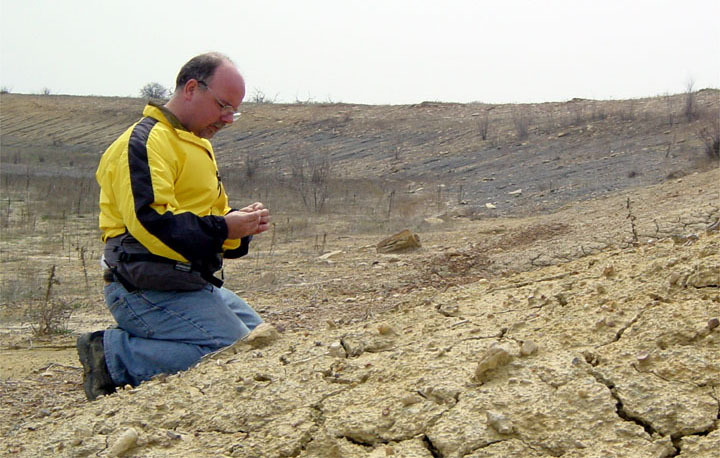 My thanks AGAIN to the Central Texas Paleontological Society for their hot tips!